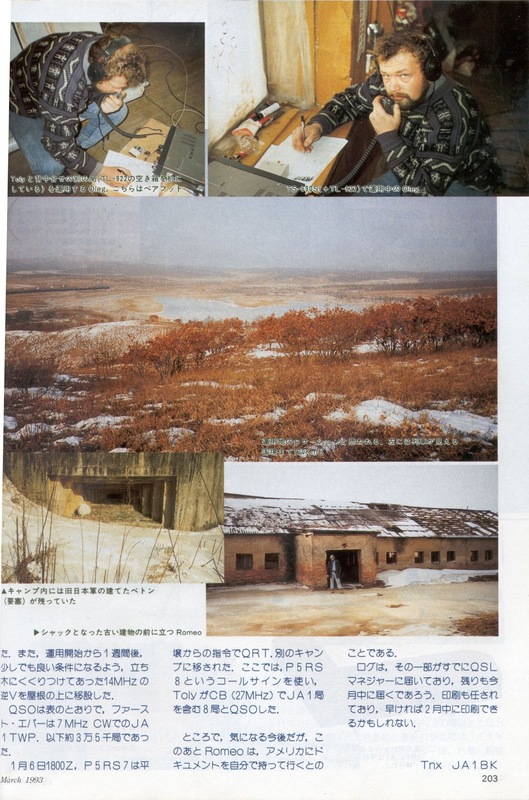 There exists an article "In the North Korea Without Changes" about P5RS7 operation which was found in the archives and that was written upon the end of the 1993 DXpedition. 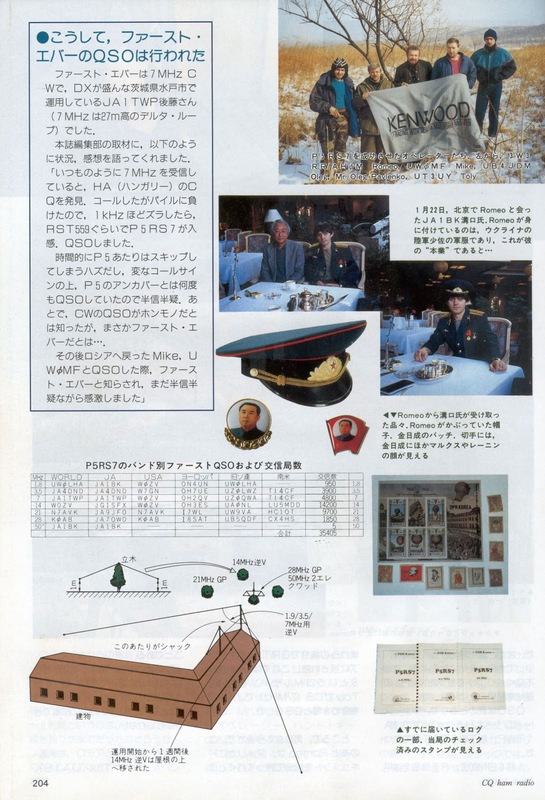 The original draft's scanned version will soon be posted here, along with some official Korean papers weren't able be obtained at that time, 20 years ago, due to certain force majeure circumstances. 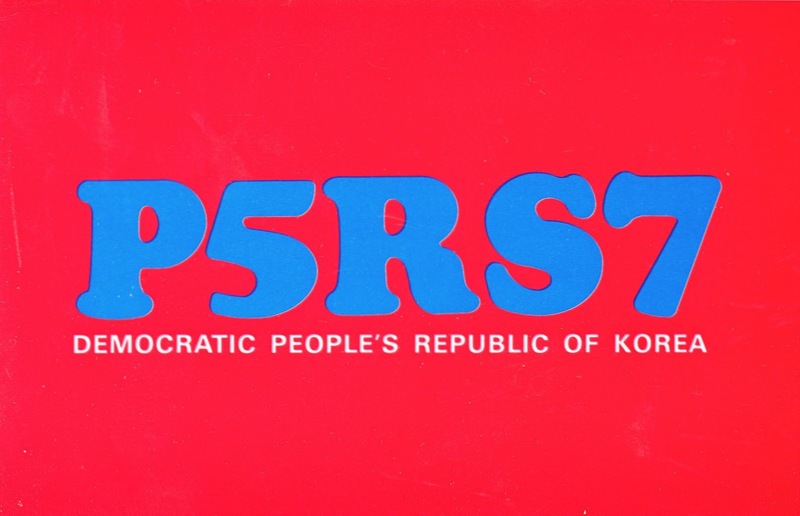 P5RS7 is not counted for DXCC. Hello Romeo, nice to see you again ! So is a possibility to obtain credit in DXCC for your 1993 DXpedition ? 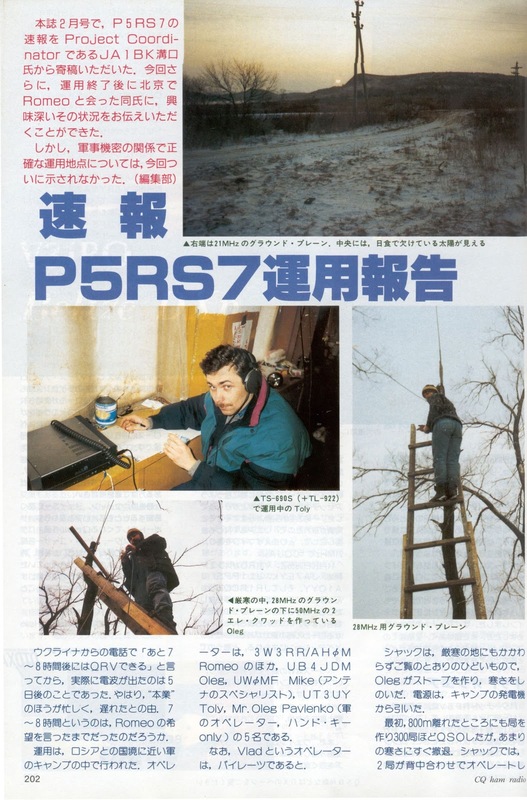 I have the QSO and QSL ! 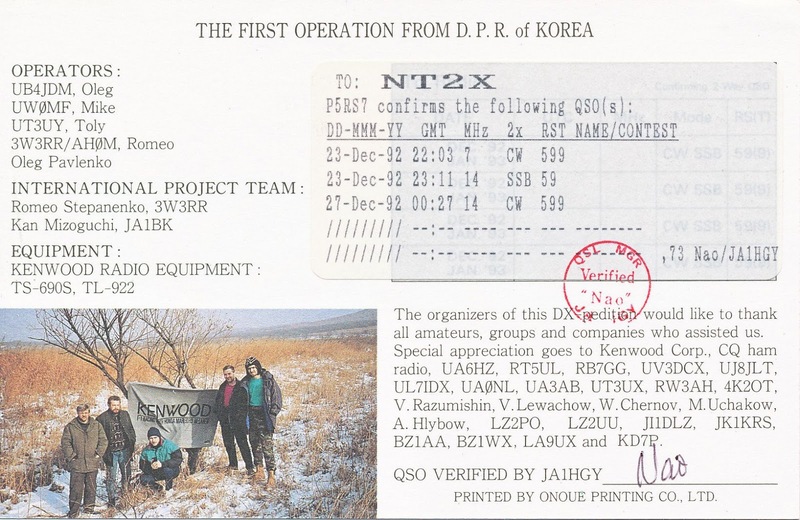 Reading the email of IK4CIE, gives me a hope that they can validadte the 1993 DXpedition. Was very hard to get the QSO.I also have the QSL in my hands for 23 years and anxious wait the confirmation from the DXCA.